How to take care of hair? Not every woman is content with the condition and look of her hair. Some consider their hair as thin and weak, while others describe their strands as too short and not dense enough. Although it is barely possible to satisfy everybody’s needs, you can try to improve appearance of your hairdo. Find out how to take care of your hair the right way. Facts & Myths about hair. By observing our mothers, reading colourful magazines and listening to stories from hairdresser’s salons, we make our opinion about techniques that maintain good condition of hair. Fairly often they are unverified ideas. We want to see for ourselves, whether the ideas are true or not. Frequently, we apply to our strands treatments that are not always suitable for them. Remember, what appears to be a perfect solution for your friend’s hair does not necessarily have to work out on your strands. In fact, such procedures may even weaken your precious mane. What should be done then? Just give yourself up to the professionals (both hair stylists/dressers and dermatologists). They will show you the best way your hair should be treated. How to take care of hair – practical tips. Does frequent shampooing encourage scalp to get greasy faster? Yes and no. The fact hair gets greasy faster or slower is not connected strictly with the frequency of shampooing. Other factors have greater influence over this problem than washing. And the factors include composition of cleansing and caring products, type of scalp and hair as well as condition of face and body skin. With this in mind, wash your hair as often as it needs to be washed. It is all about you feeling comfortable and pretty. If you are really concerned that frequent shampooing will deteriorate condition of your hair, try to find the best possible cosmetics (matching your scalp and hair’s needs) and avoid hot water. It leads to hair follicles weakening. As a consequence, strands get damaged, start falling out as the ends become split. If you dye your hair then you have to treat the strands a little bit differently. Certainly, it is typical for dyed hair to become dry, matte and weak, therefore, it requires special care. For washing, pick only the cosmetics of moisturizing features, the ones which contain keratin and of colour protection action. Shampoo your hair and scalp as often as you please. Do not refrain from conditioners, masks and other care products. All you have to be cautious about, do your best to select only the product that answer your scalp and hair needs. You can also try to pick the cosmetics accordingly to your hair colour. Does trimming accelerate hair growth? Unfortunately, it does not. 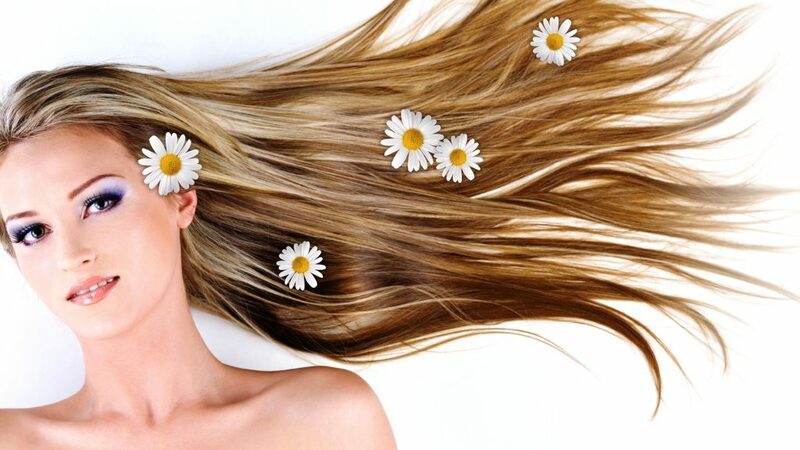 Hair grows when it is supplied with vitamins, minerals, and other active substances. Trimming does not help hair grow faster yet it improves its look. Due to regular trimming, we get rid of dry and split ends which influences the general appearance of strands in a fairly positive way. Again, hair growth can be speed up by application of appropriate cosmetics and adopting healthy eating habits. How to cut dry hair?